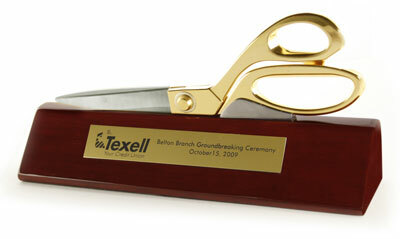 - Excellent for a ribbon cutting, awards case or office display. 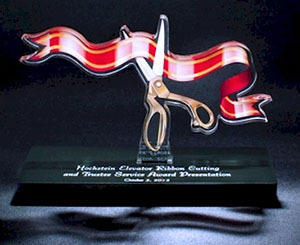 This is a dazzling pair of scissors that sits in its own desk accessory base--it is sure to be the talk of the office. 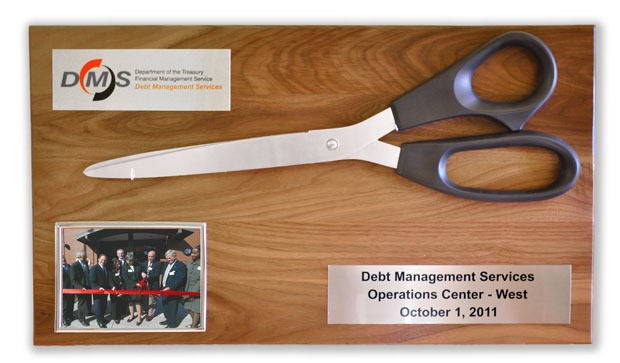 - Combine your 2 foot ceremonial scissors, ribbon and a photo from your event on a beautiful custom plaque. 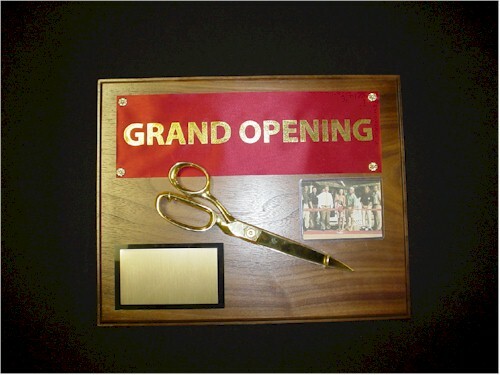 - Combine your Grand Opening scissors, ribbon and a photo all on a custom plaque. - Click image for details. 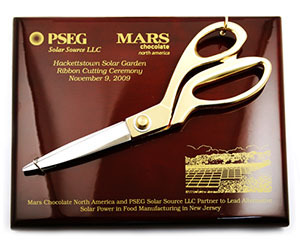 Enjoy another unique way to display your favorite photo from your ribbon cutting in our keepsake plaque. 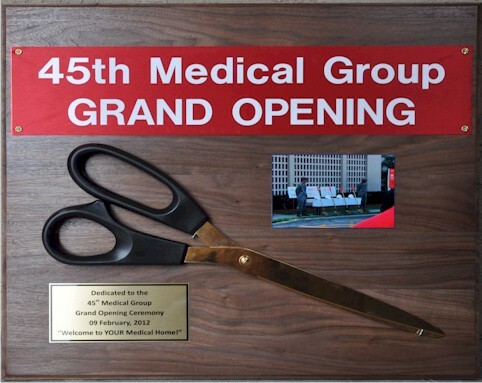 - Combine your 25 inch scissors, logo and a photo all on a custom plaque. 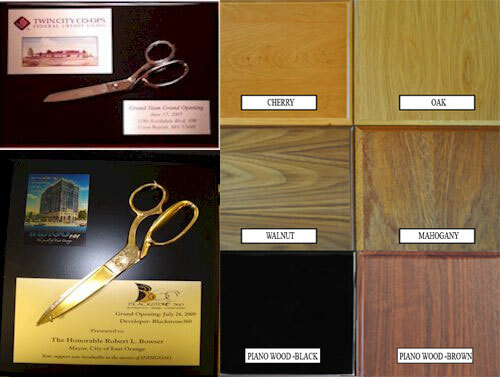 - We have even more ways to celebrate your event with our custom commemorative plaques with scissors. 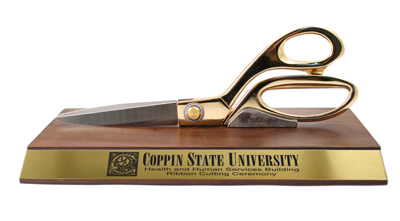 - Ceremonial Scissors and Custom Engraved Plaque. 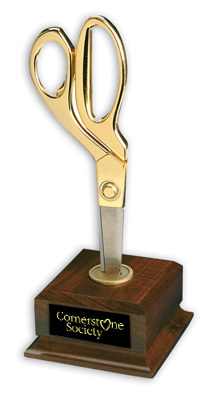 - 6" x 8" Ceremonial Scissors and Acrylic Plaque. 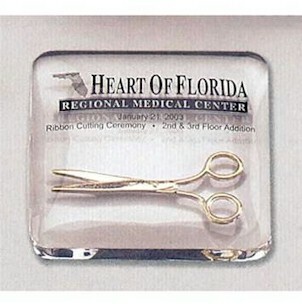 This stunning Scissors & Ribbon Keepsake is perfect for commemorating your ribbon cutting event. 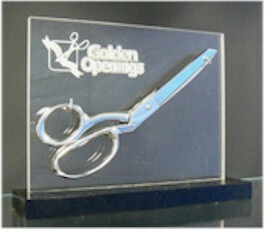 Clear lucite rectangle shape with scissor embedment. 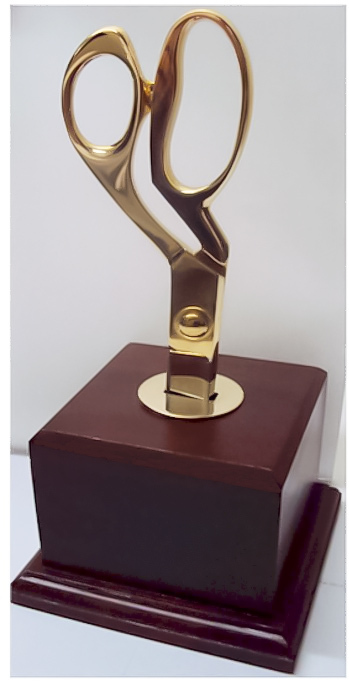 Lucite award measures 3 1/8" x 2 3/4" x 1/2" . 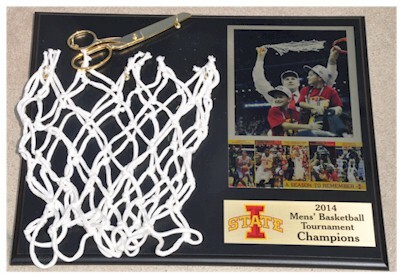 This exclusive basketball tournament champions keepsake net & scissors plaque is just what you need to display your memories forever. 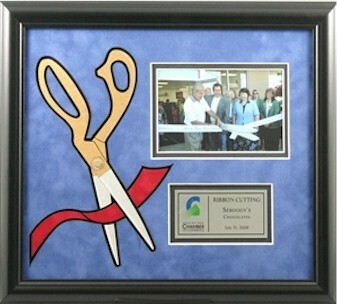 This dollar frame is a must have for all new businesses. You can proudly display your first earned dollar and write sentiments on the outside. 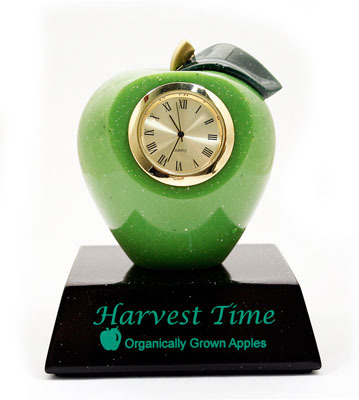 This is the perfect gift to show your appreciation to those at your special event. 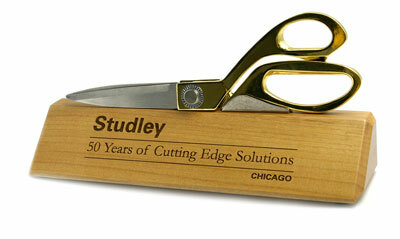 This attractive desk accessory is perfect for your ribbon cutting and then to enjoy all year long! Scissors sold separately.